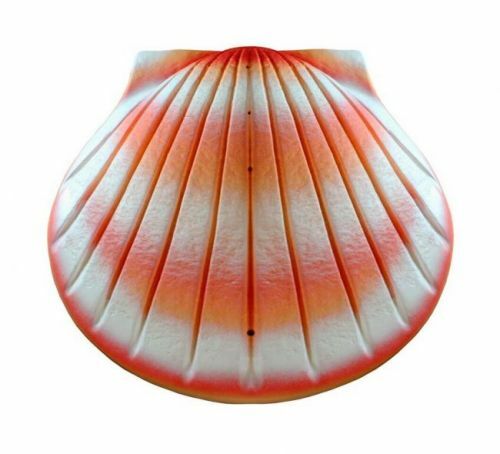 This Coral Shell Deep Water Bio Urn is designed to provide you with a clearly themed product that will float on the surface for around five minutes before gracefully sinking and degrading naturally. The Shell is hand made from recycled paper and earth- friendly materials and individually hand painted. The urn includes a water-soluble plastic bag for the ashes, it measures 16 inches x 16 inches x 6 inches which is suitable for holding the full ashes of two adults or alternatively personal notes, mementos or precious keepsakes including the ashes of one adult.